If what you want, what you really, really want is to dance like the pros, then check out Let's Dance (Let's Dance with Mel B in Europe) featuring one of the best: former Spice Girl Mel B! 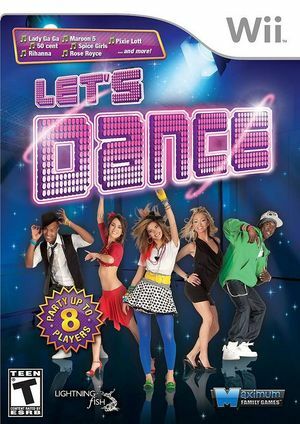 Learn smash-hit moves from the smash-hit star as you groove to the sounds of 28 dancefloor favorites from artists like Lady Gaga, Rihanna, Pussycat Dolls, Gloria Gaynor, Culture Club, and more. Choose from a range of friendly styles like pop, '80s, and party classics designed to get everyone into the groove. The game monitors your standings on local and online leaderboards and Mel checks in with advice on how to improve your performance. The graph below charts the compatibility with Let's Dance with Mel B since Dolphin's 2.0 release, listing revisions only where a compatibility change occurred. This page was last edited on 11 February 2018, at 14:07.